At Schofield Chiropractic Group, we take great pride in providing the finest chiropractic care to our patients. Below is a sampling of the different services we offer in our Cedar Falls office. The adjustment, or spinal manipulative therapy (SMT), is the restoration of motion to dysfunctional or "fixed" joints. Joint dysfunction can be the result of repetitive motion, inflammation, arthritis and/or acute injury, to name a few causes. Chiropractors are uniquely trained to provide this service and perform 94% of all manipulative procedures. 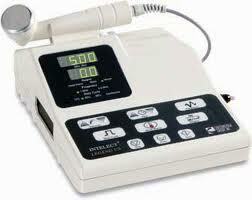 Ultrasound treatment utilizes sound waves that penetrate deep into the tissue to stimulate healing without irritation. It benefits the patient because it increases cellular activity, improves blood flow, reduces nerve-root irritation, and enhances the body's natural healing ability. Ultrasound treatment is especially beneficial for sports-related injuries. With AlterG®, patients, seniors, and athletes can defy the forces of gravity and push their boundaries to recover sooner, improve physical function, and enhance performance like never before. Schofield Chiropractic Group is the only health care provider in the Cedar Valley to make this exciting technology available to its patients and the general public! Click on this link for more information. We teach our patients customized exercises to help strengthen and correct their own unique problem. These exercises can be performed in the comfort of your own home and can improve the effectiveness of your spinal correction. In addition to skeletal misalignment, muscles and connective tissues can be out of place or strained by improper alignment and use. Specific exercises and stretches can help your body stay in balance and in health.